Iraqi woodland camouflage LBV. Outside is woodland camo and inside is covered in a black felt type material. What a ugly and terrible design! 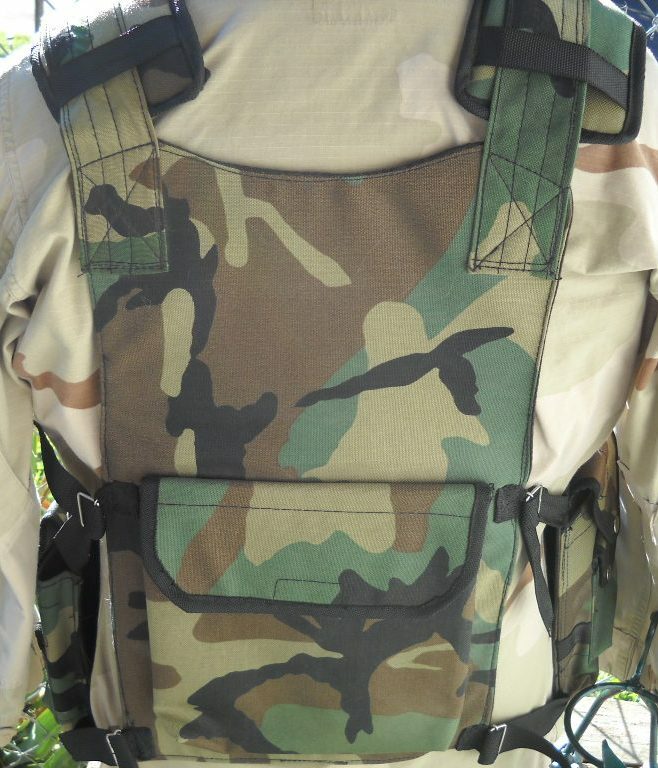 Is this Saddam era or new Iraqi Army vest? New Iraqi, it has quick release buckles. 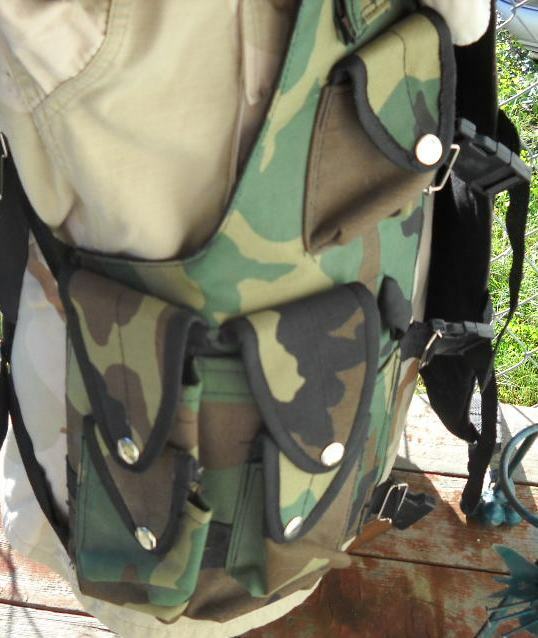 Although, the construction does resemble the Iraqi AK chest rigs. I agree about the vest being a terrible design. I bought it because of the sheer oddity of it. I doubt this design would have been used very long. 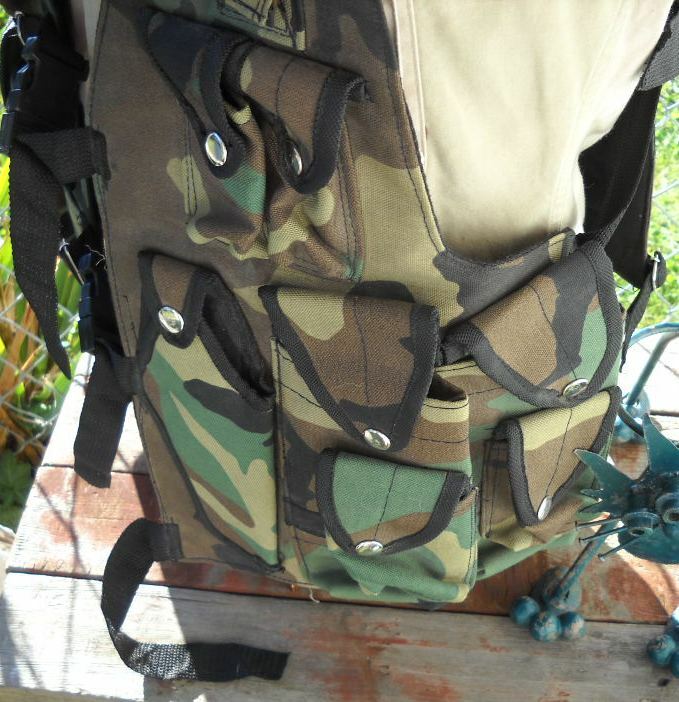 The pockets are totally inadequate for military purposes. How the hell do you find all of these theater made vests? I have only seen one, maybe two up for sale. Well.....keen eyes and having a little money with me wherever I go. I have to admit, I am always on the lookout for items. I also picked up two EARLY LBV's. One is the first experimental model and has 1986 dated buckles. The other is one is a experimental model that was made by a maker SPECEFICALLY for the Special Forces. If you want to see them, let me know. Doing research on the internet and found this piece is NOT Iraqi. 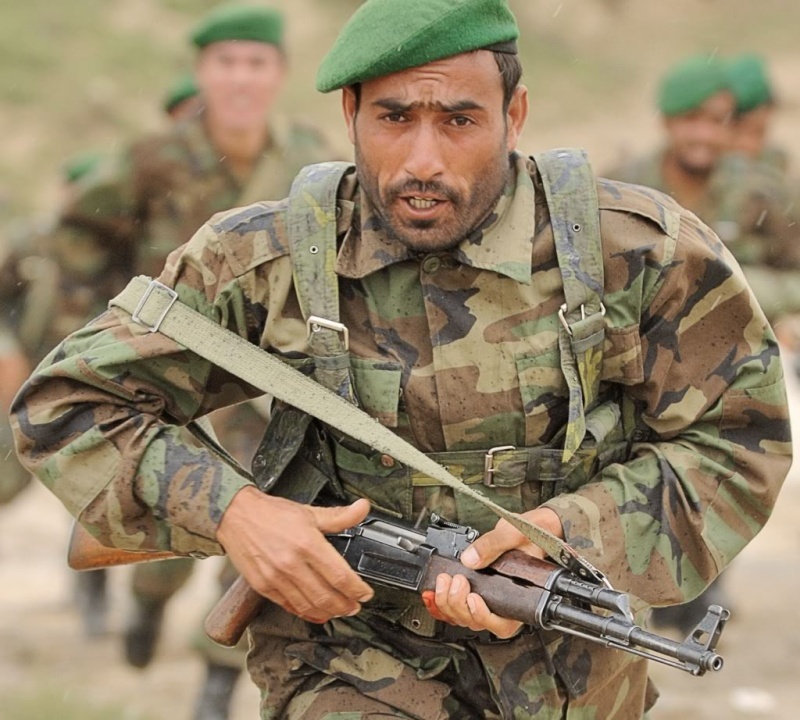 It is webgear from the Afghan National Army. What makes Iraqi Equipment Iraqi; well you look for distinctive markings with the “JIM” ج Iraqi is a unique area because most Iraqi soldiers will wear what they are given, even if it was given to them by a trade from a U.S. soldier. There is not set Issue of Iraqi uniform and Dress as well as that in the equipment. Now some units in Baghdad, are establishing set rules to stay in the uniformity of things. 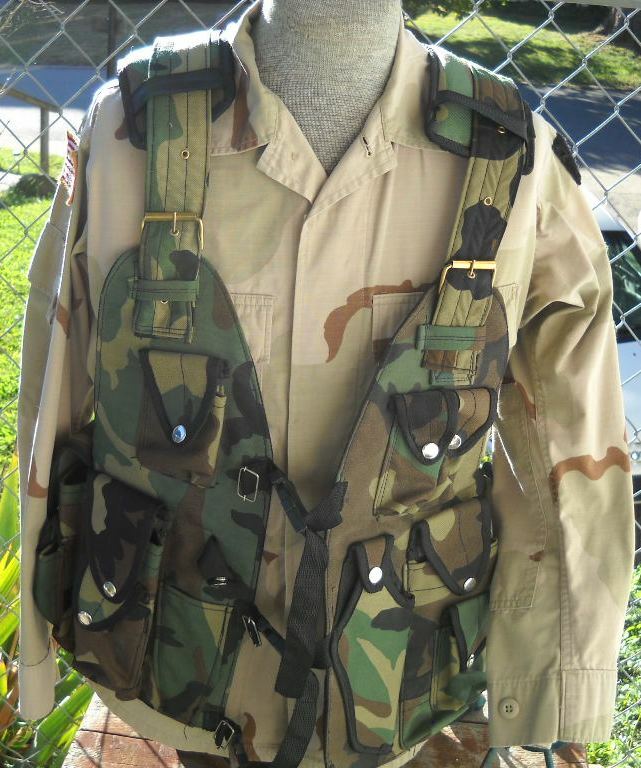 Very nice, but I bet there is an Iraq soldier out there that is wearing one of these. I have seen a lot of mixed uniforms and equipment in my almost 5 years of serving in Iraq. Thank you very much for sharing your pieces. nkomo wrote: Doing research on the internet and found this piece is NOT Iraqi. 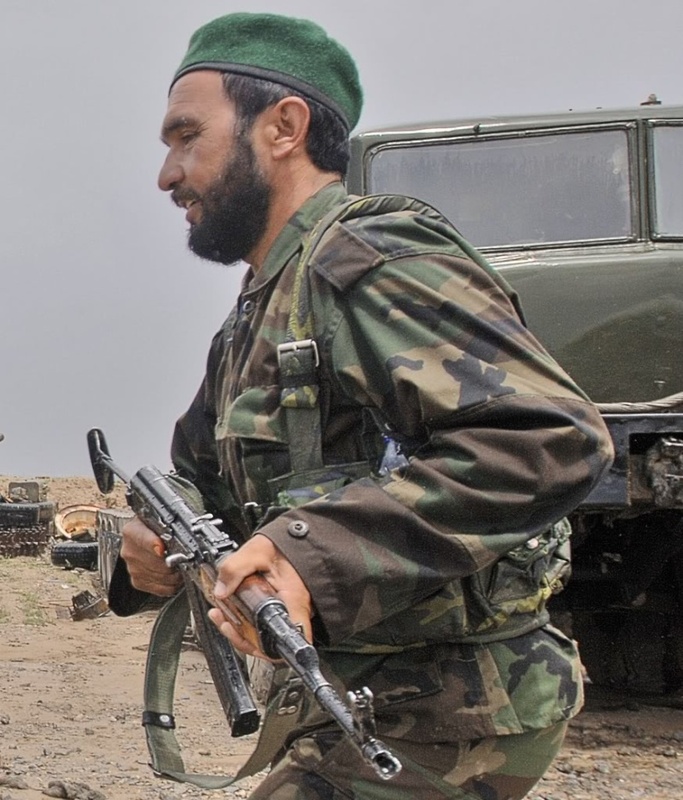 It is webgear from the Afghan National Army. Yep. I saw a picture of ANP wearing black vest with same cut and buckles on shoulder straps. I'll try to find the picture. 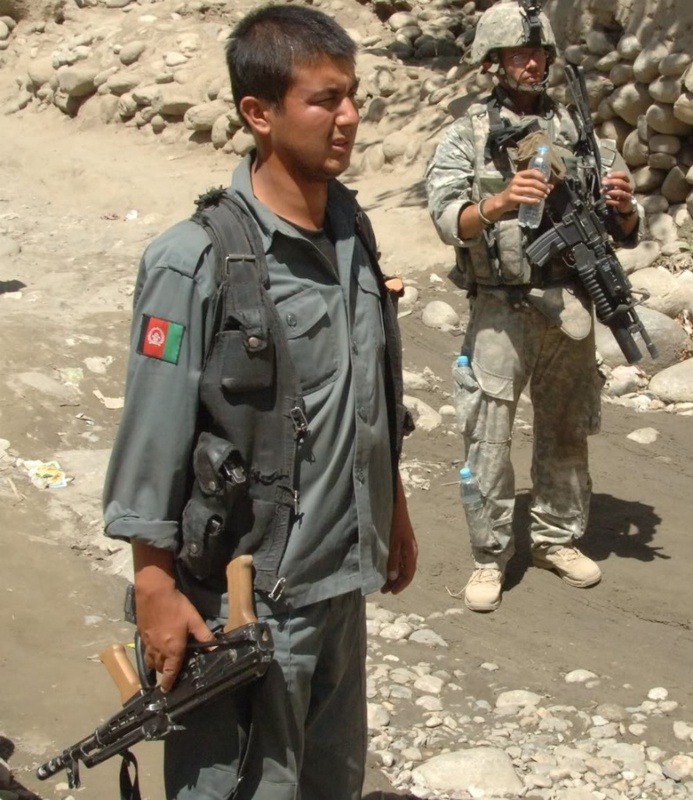 Here are some pictures of similar Afghan LBV's being used in the field and training. GREAT that you found pictures of this type being used!